Portfolio | CB Restorations, Inc. 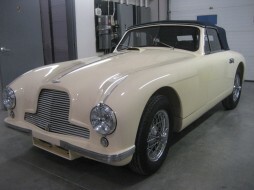 In conjunction with Aston Martin of New England; this DB2 was brought in for fabrication, fit and finish work done in ivory. 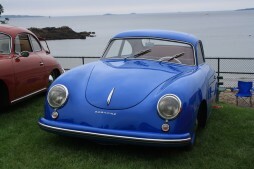 This Targa came to us very clean and rust free. We stripped, painted and assembled with all new seals, trim, re-chroming as needed and new Auto International interior installed. 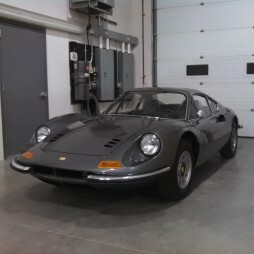 This Dino came in on a rotisserie in need of extensive metal fabrication. 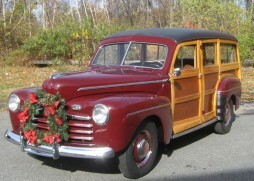 Inner and outer rockers, lower nose, inner and outer rear quarters, back panel and rear window package shelf to engine lid were fabricated in house. 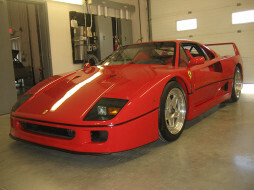 This car was then painstakingly resurfaced, blocked, primed and painted in Rosso Chiaro. 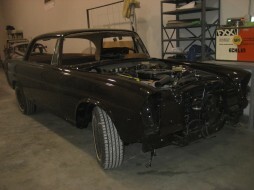 This 3.5 coupe came to us sand blasted and ready for metal work. We began fabrication of lower quarter sections, wheel houses and new front cross member. 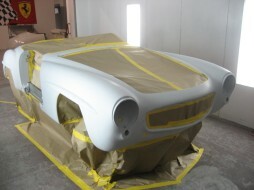 The car was then epoxy primed, resurfaced, filler primed and blocked for paint. 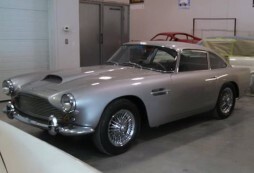 The car was done in Glasurit base coat and clear coat in its original Dunkelbraun. This car came in originally for a touch up and turned into a complete paint. The car was disassembled and all blemishes were repaired. The car then was painted in 300 Corsa Rossa and reassembled.